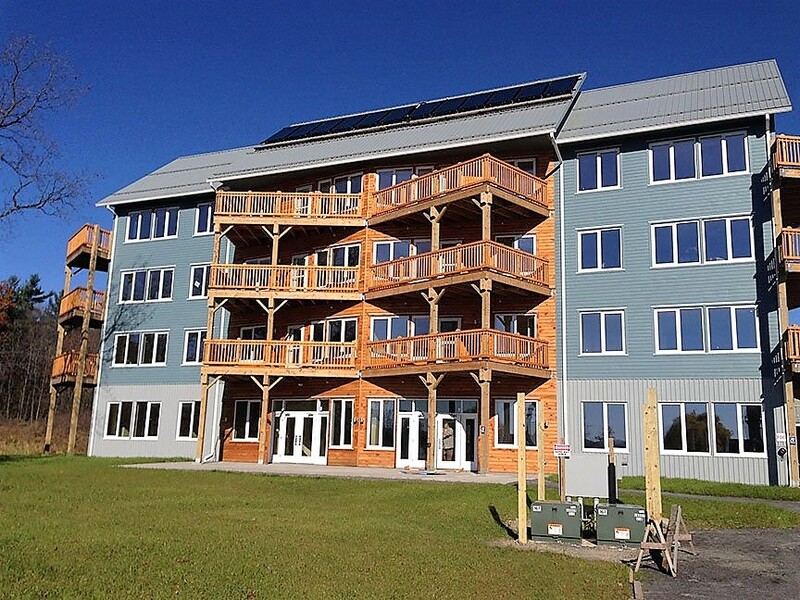 EcoVillage at Ithaca is an innovative co-housing community that emphasizes environmental stewardship, cooperation, and sustainability. 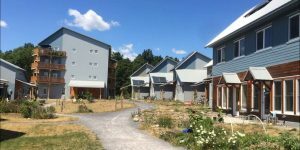 TREE is the third residential neighborhood at EcoVillage and consists of 40 dwelling units and the mixed-use Sustainable Living Center (SLC), all designed using Passive House principles. Taitem served in a close advisory capacity throughout the project, beginning with developing plans for innovative energy systems and technologies for multiple styles of townhouses and the SLC Common House. 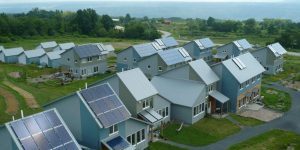 Taitem also created commissioning plans to demonstrate the energy-related performance of the buildings, resulting in 7 houses attaining Passive House certification. Taitem provided design assistance for mechanical, electrical, plumbing and fire protection systems for the townhouses and the four-story SLC Common House. The wood-framed SLC features 15 apartments, a community kitchen, dining area, and meeting rooms. Full structural design and construction phase services for the Sustainable Living Center were also delivered by Taitem.